SAP is an organization with 80,000 employees and 40 years of history in the software sector. As the industry faced major disruption and change, SAP needed to make a dramatic shift to keep up with the pace of innovation and the drastically changing shape of their industry and business. In order to transform their organization from a traditional on-premise software provider to the cloud company powered by their HANA platform, SAP partnered with BTS. Senior leaders at SAP recognized that leadership was the key factor in achieving this goal. Leaders at all levels in the organization needed to set the vision for their teams, inspire trust and enthusiasm, and equip their people to execute. Without this, SAP foresaw losing talent to competitors and becoming less appealing in attracting top talent. They knew that great leaders were the key to making – or breaking – the success of their transformation. Before embarking on this strategic transformation, SAP identified that its existing approach to developing leaders was not fully aligned, with differing approaches across its global operations. Some pockets of the organization were making significant investments in developing their people, but this was not the case across the organization as a whole. Overall, leadership development was not highly effective and the development that did happen was not tied to SAP’s broader strategic agenda and priorities. After thoughtful evaluation, the team recognized that there had to be a better way to consistently develop leaders and enable the transformation that SAP was about to undertake. This approach relied on four key principles. First, SAP decided that they needed to touch all levels of leaders in the organization with an aligned approach to leadership development. They made it their goal to drive clarity of messaging, consistency of leadership, and speed of execution. This would ensure consistency of messaging throughout the organization. Second, they recognized that the leadership development must be highly contextual to the SAP business, cultures, values, competencies, transformation agenda, and leadership framework. Third, they determined that they needed to move quickly, impacting the vast majority of SAP’s roughly 10,000 leaders in a very short time. SAP began with a top-down and ground-up approach, leading with top executives and first level leaders to ensure that the initiative would accelerate strategic capabilities at the top level, while simultaneously driving execution on the front lines. With this momentum in place, SAP then moved into the mid-level and executive leader populations, and finally to a select group of next generation leaders called Aspiring Leaders. Fourth, they wanted to make the program practical and real, so they could discover and disseminate what defined great leadership in action at SAP. Overall, the approach sent the message from the top down that great leadership is a critical enabler of company success, all while developing the foundational support to create behavioral change and business impact. The program that SAP implemented was an end-to-end solution beginning with distinct development roadmaps for all levels of leaders across the organization, which outlined the on-the-job experiences, performance support, connections, and formal learning experiences leaders would need. The formal learning components, which were tailored to each leader level, consisted of pre-work, an in-person flagship program, and follow-on activities to drive new behaviors back on the job. The flagships combined business simulations and leadership deep-dives to increase leadership skills and capabilities, foster cross-functional and cross-business unit collaboration, and make the SAP strategy come alive for the participants while driving a consistent culture using SAP‘s leadership principles. The flagship programs were delivered by both SAP and BTS facilitators, and to date about 60% of the targeted leaders have been through one of the experiences. The top indicators of leadership effectiveness at SAP are Employee Engagement and Leadership Trust. Employee Engagement is measured with an all-employee survey, similar to engagement surveys across the industry. SAP’s Finance department determined that for every point increase in Employee Engagement, the effect on net operating income is an increase between €40-50 million (due to the rise in productivity, innovation, and customer satisfaction associated with these results). 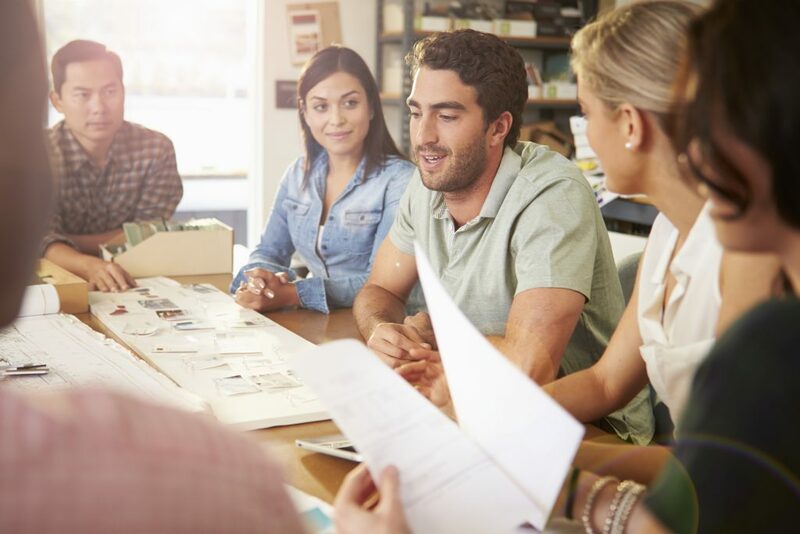 SAP determined that leaders who participated in the First Level Leader Flagship programs drove a 3.4% higher Employee Engagement score than their peers who had not yet participated. Over the course of this broader leadership initiative, SAP has increased its average Employee Engagement from 77% to 85%. Leadership Trust is a unique SAP metric, patterned after NPS (Net Promotor Score), which asks employees “How likely are you to recommend your direct manager as a manager who you trust?” Over the course of this broader leadership initiative, SAP has increased its average Leadership Trust score from 28 to 61. SAP has driven profitable growth through the course of its transformation and its cloud businesses continue to grow rapidly quarter by quarter. Partly due to the success of this leadership journey, BTS and SAP have planned further partnership to not only develop its leaders but also its experts to fully transform the organization. Driven by leaders at all levels in the company, SAP is well on its way to being the cloud company in a world where cloud is king.